Over 125 manufacturers shared with IPVM their outlook for 2015. "Positive / Negative: Is your outlook for the 2015 video surveillance industry overall positive or negative? Why?" First thing, we stripped away the silly self-promotional answers they always try to pass off in industry publications, e.g. "4K cameras are the next big thing, p.s., buy my 4K cameras please," or "Storage is going to be huge, oh, I sell hard drives." We identified 4 real areas of threats / opportunities, with the most important being how concerned manufacturers are about the growing Chinese threat. **** *** ************* ****** **** **** ***** ******* *** ****. "******** / ********: ** **** ******* *** *** **** ***** surveillance ******** ******* ******** ** ********? ***?" ***** *****, ** ******** **** *** ***** ****-*********** ******* **** always *** ** **** *** ** ******** ************, *.*. "** cameras *** *** **** *** *****, *. *., *** ** ** cameras ******," ** "******* ** ***** ** ** ****, **, I **** **** ******." ** ********** * **** ***** ** ******* / *************, **** the **** ********* ***** *** ********* ************* *** ***** *** growing ******* ******. "******** - **** ********* **** ** *** ****** ** ***** and ******." "** *** *** *** ** *** ***** ****** * **** to *** ******." "* ******* ** **** **** **** ******* ** ***** ***** points. **, ** ** ***** ** *** ******* ******** **** be ** ** ***** ** ******* ***** *******." "******* ***** *** ** ******* ********* *********** ** ********** ******." "***-**** ******* ******** *** ****** ****** ***** ***** ** ***** close ** *** **** **** ** ******." "* ******* *** ****** ** ***** **** **** ** ********, but *** ** *** ************* **** *** *******, *** ******* and ************* **** ** ********, **** ****** *** ******* ******* negative." "** * ******** ***, * *** ** ********* ***** ******* the *** **** ******* *************, *** ***** ************** *** *** previous ******** *******." "****** ****** ********** ******* * ******** ******." "**** *** ***** **** **** *** ** ********* ** ***** low **** *******." "** **** ** ********* *** ******* ********* ** ****** *** low-price ******* *********. *** *** ***** **** **** * ******** year *** ** **** ** ********* *** **** ******." "********* *** ***** *** ******* *** *** ******* ** ****** their **** ****** ** ** ****** **********." "*** ****** **** ** *** ********-**** ************* *** **** ** in ****-**-**** *********** **** ***-**** ******* *************." "*** **** ********* **** ** ****** ** ** **** ** the ****** ******* *** ******* *******." "**** *********** **** *** ***** ******, ** ***** *** **** criteria ** **** ** *** ******* *** ************ ** *** Chinese ******* *** ***** **** (*********, ******,...)"
"**** ** *** ***'* *** ******** ** ****** *** ********* of ******* ************ **** ********** ******* ** ***-****"
"*** ***** *** *********, ******* *** **** ** ********. ** contrast, *** ***** ***********, ******* *** **** ** ***** ********." **** ** ******* ** **** **** **** *********** **** ** 2013 ******** #* ******* **** ** ******* - ***** *** *** high. **** *** ***** ************* **** ****, ********* *** **** doing ******* ** ***** ****, ** ****** ****** ** ******** opportunity *** ******* ************* **** ********* *** *****. *********, ** are *************** **** ******** ***** ***** ************** *** ************* *** ********* *** ****. "********, ******* *** ******* ** ** *** ***** ******* *** the *********." "******** ******** *******, ***** ************." "*******, * *** **** *********** ** *** ******* ********* ** improve." "* ******* *** *******, ** *** ** ** *****, **** continue ** *******." "* ******* ***** **** *****, ******** **** *******, **** **** a ******** ****** ** *** ********** ** ****." "*'* *** ** ********* *** ** ***** **** **** **** be * ****** ****** ****." "***** ** **** *'** **** / ***** ** ** *********, the ******** *********." "** *** ****** ******* ********* ** *******, *** ***** ************ industry **** ** ****." "* *** *** ***** ******* ******* ***** ********* *** ******* for ********." "********. **** ** ******* *** ******* ** ** ***** ** be ******." "** *** ******** ** *** **** *******, *** ******* *** market **** ********** ******* ******* ****** **** ******* ** **** and ****, ***** ******** ***** *** ** ********** ***** ******** and ***************." "**** ******** *** ******* ** *** ***** ** ******** ** flow. * ***** **** **** ** *** **** ** *** the ****** ******** ** *****." "*** *** ******** **** **'** **** "********" *** * **** or ***, *** ******* ******** ** ******. ************, ******* *** the *** ** *** / **** ** **** ******* ** expand / ******* ******** *********** *** **** ** *** ******* for ****." "*****, ****** ******** ******** ** ******* ** **** *** ****(**) quality ************ *********." "***** ****** **** ******** - ******** ** ******, ******** ** schools *** ****** ******, ********** **** ******** ** ******* (**** or *********) ** ******** ******** **** ** ****, ***********, **************." "********/****** ** *********** ******** ** ****** *****." "********* ********** ** ***** **** *** *****." "**** ******* ** ********* ********* ********, ***** ************ **** ******** to ** * *****." "************* *** ***** ********* ** ** ** ****** *****." "*** ********* ********** ********** ** * **** ***** *** ***** surveillance." *** ****** ** *** ** *** ******** ****-**** ******** ***** it **** *** **** */**, *** **** ********* ****** ********* routinely, **** ************* ***** *** ************ ********. "*** ********* ** ** ******** ** ********." "** ****** ** ******, ******* **** ********/** ** ******." "*** ***** ** ** ******* ** ******* ******** ************ ** older ******* ********** ***** *** ** ************ *** **** *** been *********!" "***** *** * *** ** ****** ********* *** **** ******* to **." **** ******* *** ********* ****** ** *********** ****** ** / HD ******** ** * ***** ****** ****** ** *********** ***** ******** ****. *******, **** ** *** **** **** *** *** ******** that *** ******* *** ***** ******** ******* ******, ******* **** on ***** ******** / **********. "* ***** ******* ** *** ***** ******* ************* **** ***** seeing *** ******** **** **** *** **** ******* ******, ***** the ******* ****** **** ***** ************ ** *** ****** *******. For *** ***-******** **** **** **** ****** **** ***** ******, but **** * ***** **** ******* ******** ***** ** *********** costs ** *** ******* ****** ***** ******** **** ******* *******. There ***** *********** ** * ******** *** *** ******* ****** though, **** *** ** ******* *** ******** ******** ** ********** enterprise/large ********. ***** ***** ******** **** ** *************** ***** ******** in *** **, **** ***** *** **** ** *** ******* industry ***** ****** *** ****** **** ********** ****** ******* **************. As *** **** ******* *** ********** ** **** *** ******* brands *** *** ******** ** ******* ********* **** ********** **** not **** ********** *********** *** **** *** *****. *** ********, especially *** ******* ******, ***** ****** **** ** **** ** innovation ** ******* **** *** ***-**** *************, ***** *** ********* strongholds **** ** ***, ********, ***** *******, *** **** ** commodities *** ********* **** ** ***-**** ********." ** ************** *****. ** *** ******* ****** **** ******* **** the ****** ************* ***** ****** ***** *** **** *******. ****** Dahua *** ********* *** ***** *** ******** ******, ** ** inevitable **** **** **** ***** **** **** ** ****** ********* players. **** *** ************ ********* ********. "********. ******* * **** *** ********! ** **** ********!!!!!!!" You could see this coming a mile away. I've mentioned this before on IPVM but last year we sold a customer two additional cameras to expand their system. One was a $99 HIK DS2CD2112-I (1MP) and the other was a $1000 Axis P3337-VE (5MP). The customer wanted to know why the HIK camera looked better than the Axis. Axis definitely offers more features, but 95% of them go unused. And the features people ask for (90 degree rotation, IR, etc) are found on the lowest of low-end HIK cameras. I brought this up with the Axis rep who simply said that their Lightfinder technology was better than the HIKvision Infrared (this is debatable) and that they weren't worried. Wonder if anyone is starting to worry now. I've been waiting a while to see when Axis would make a countermove to the Hikvision / Dahua low-end advance. Axis mainly pretends it is not happening, as if ignoring it will make it go away. On your specific comment, I agree one easy place Axis can cut the competitive gap is to add IR to their entry level domes. Right now, Axis lowest cost IR dome is ~$500, which is a huge gap considering nearly every Dahua or Hikvision IP dome has IR included essentially for free on their ~$100 versions. Axis can certainly demand a premium but 5x is a bit much. Can you share what the Chinese Manufacturers' #1 threat/fear was? Tariffs/Protectionism? Or just the 'other' Chinese manufacturer? Chinese manufacturer's #1 threat is Dahua and Hikvison :) So, yes, 'other' Chinese manufacturers. Avigilon dominate? More like being bought over by Hikvision or Dahua. It is already happening here in Singapore, in terms of CCTV, i would say 90% of the market are now using china made products. Big brands are only used either because of corporate accoints or si having a good relationship with the client. However, China made access control is not doing as well because they are week in software development and also the language barrier for now. This applies to network systems only. Stand alone systems are selling like hot cakes though. I have been using a Dahua DSS7016D and I would say to many vendors on this forum. Watch out, the price point, features and functionality will, after a couple more firmware revsions, force the big end of down. The race to the bottom is on. By and large, this little box is fantastic. Any of you have any other Chinese Manufacturers that might give HikVision and Dahua a good fight? It's a good question and, of course, there are a lot of Chinese manufacturers. Many of them have even lower prices than Dahua and Hikvision (e.g., Testing $29 ONVIF IR IP Chinese Camera, Testing $39 ONVIF NVR, Testing Analog HD, etc.). That said, I am not sure what level of quality and support those companies are offering (as many are weak). I'd like to hear some recommendations for sure, so if anyone has any, feel free to add to this discussion. As someone who worked in the security integration and later on the manufacturer side in China for over a decade there is one thing I'd tell anyone looking for Hikvision or Dahua competitors coming out of China and that's this: they don't really exist. China's video hardware (both IP and Analog) market share is split primarily between Dahua and Hikvision - somewhere above 90% - with Hikvision taking 2/3rds of that at around 60% market share and Dahua having around 30-35%. The remaining 5% is split between thousands of companies - all claiming to be third behind Hikvision and Dahua. And the majority of these companies have awful products and support and most OEM from the same base manufacturers based in Dongguan (located in the South of China between Shenzhen and Guangzhou). In-line with John's point - the challenges for both Dahua and Hikvision in Western markets will primarily be their ability to provide world class service and support - and that is going to take many, many years as typically "Guanxi" dominates in China rather than through a structured process. There is also the issue of innovation. The race to the bottom the market is seeing is IMHO primarily in the stock-standard (common features like 1080p resolution, day/night IR, motion-detection) camera models from what I can see. As long as western manufacturers like Axis or ISD [Disclosure: Poster is partner with DW / ISD] continue to innovate in their offerings (true edge-enabled solutions, for example) and integrators are willing to learn how to apply new technologies in a value-driven offering to their customer base then high-value integrators should have little to worry about when selling higher end solutions. How many of you have the GooPhone? Now if the GooPhone does everything that the iPhone does, and more.. At 1/8th the price why doesn't everyone have one? From where I sit, it's the industry sales people who are scared to deal with high prices, not the customers unwilling to pay them. "it's the industry sales people who are scared to deal with high prices, not the customers unwilling to pay them." I agree in general. As a counterpoint, though, I think the higher end of the market (both integrator and end user) are certainly more cautious about taking low prices, given quality and support concerns. It's there that I feel bigger brand manufacturers will (hope) to make their stand. I saw a manufacturer post comparing their ware to an iPhone and the Hikvision/Dahua to a goophone. I would honestly ask this manufacturer to pull his head from the sand. The threat is real. These cameras picture quality is amazing not to say shocking. It has become extremely difficult to justify camera costing 5 times. And please, do not take these cameras firmware/software features lightly, their higher end (and often lower end) models are competitive in term of features. I also second another integrator POV that 95% of Axis features go unused. Time to revise your strategy people. The race to the bottom has started. FWIW, now we only propose Hikvision even to high end corporations. So far we haven't seen many failures, especially with the latest batches. Do yourselves a favor. Just buy one of those circa $100 Hikvision DS-2132 and compare them in all light situations with your wares. I don't argue against price growing more as a pre-dominant factor, but as far is picture quality, just about any cameras can be "tweaked" to give an amazing static picture, night or day, if you play with the gain and shutter speed enough. It's a picture with motion where the tell is. And most times when I see someone post an "amazing" picture, it is always a static scene. But Hikvision and Dahua are not using / depending on slow shutter tricks, especially because IR is so widely available in their cameras. Whether Axis or Sony images are more 'amazing' than Hikvision or Dahua in some scenes, they tend to be close enough that lots of people will be more than happy with the camera costing 50% to 75% less. If you look back to some of the first Hikvision IP cameras, they were unbelievably terrible but the gap is pretty close these days. "If I were an investor in any of these companies (Avigilon, Axis, Arecont, etc) I would get out NOW"
Btw, Axis' next financial report will be released January 30th, which should provide more color. And Axis just did "get out now"
It was pure business genius to sell to Canon at this time when Axis is at or close to a peak. What great value to the shareholders. Business success is measured in dollars and I would say they nailed it. Undisclosed I, I agree with you on the dollars position. I still feel they sold out their principles (open platform, etc.). Now they say everything will remain the same, and if that does occur they will get both the money and their principles but as many have commented, this seems unlikely. I agree with the note about the 'protectionistic legal measures' - the US (& European) Government at some point will be forced to step in and protect our manufacturing base as the Chinese invasion begins to affect the US economy & growth. Although it’s doubtful that will happen while Obama is still in office. Lesson for integrators – don’t put all your eggs in the Chinese basket! On a more disturbing note, given the reputation the Chinese Government has for (allegedly) hacking US Defense, Manufacturing & Technology networks, could we be inadvertently helping them create the world's largest botnet? Is it so far fetched that they could (and would) slip a covert trojan API in their cameras? Barry... Do you know where these US MFGs get there parts from? If they tax Chinese MFGs (which won't happen, have you seen who owns our debt?) that would tax Chinese sourced parts. Every single domestic mfg uses chinese made parts. Many of these cameras are just assembled domestically. They are charging integrators 600-1,000% markup to assemble and support essentially the same camera/parts as the chinese. Have you ever been to China? We've seen (in one factory) several BIG name brands sourcing their cameras through the same mfg. Its a shame that so many of these domestic mfgs have convinced integrators into being so affraid of trying something different. Well perhaps soon we'll be able to have everything manufactured in Cuba instead. Certainly would save on shipping. "Its a shame that so many of these domestic mfgs have convinced integrators into being so affraid of trying something different." Certainly part of it is that OEMs try to hide who makes their products and that they often are just relabelling. To play devil's advocate here, they would argue, with some merit, that they also provide QA, returns / warranty, customer support, etc. Now, how much of a markup that justifies is certainly debatable. I can't really form an opinion on those claims unless you could point me to your reference material. I'd be genuinely interested to read more about it and have some facts to lobby my local Representatives with. Maybe John H. has some data on US manufacturing? "Every single domestic mfg uses chinese made parts. Many of these cameras are just assembled domestically"
If so, I think that's roughly accurate. I am sure there are some exceptions. Maybe some are Korean parts or Japanese parts but as a general rule, even for 'manufacturers' who 'manufacturer' in the US, the parts are typically not from the US. Btw, here is a statement / explanation of this from a US government official. Well that, but also "They are charging integrators 600-1,000% markup to assemble and support essentially the same camera/parts as the chinese." I'd be interested to see how that is broken down into unit cost of imported parts, shipping cost, value added features (if any), labor, packaging, distribution costs and warranty/tech support costs etc. In other words, what is their average net profit? The 600-1,000% markup is, to my knowledge, an extreme exaggeration. The net profit is typically fairly minimal. The best recent financial statistics come from the Swann acquisition a few months ago, their gross margins were really low and so were net margins. Presumably, the Honeywell's and the AD's of the world do better financially but, despite higher selling prices, they are constrained in two ways, (1) they buy from Asian manufacturers who already mark up the price somewhat and (2) they have a lot of sales / marketing costs that cut into net profits. The days of US surveillance OEMs generating obscene markups are long gone. Not many - in fact only a few Mfg's make their products in North America. Avigilon has a great Mfg facitity with state of the art equipment - for example. The North American Mfg's have inherent costs that are much higher than the Asian Mfg's and will take many years to level out - in fact a lot of North American Mfg's will be hard pressed to compete. With that said, since most product is made in Asia today QC and support becomes the responsibility of the company that offers Chinese made products in their respective market. We should shift this conversation to customer and Integrator requirements and look at the advantages and/or disadvantages. We spec out our camera lens options and features and have our cameras made in China. we must take responsibility for support, QC and features - 2.8-16mm domes - based on customer and Integrators requirements or feedback. Example - Integrator A sells traditional (Western brand) 2mp exterior dome cameras with 3-9mm, IR & varifocal lens (motorized) for approximately $899.00 US-list. They also sell a 2mp - 4m fixed bullet for $399.00 US-list. Integrator B sells a non Western brand but offers a 2mp - 2.8-16m dome with IR - (manual lens) at $399.00 US List and a 2mp Bullet with a 4m fixed lens & dual matrix IR for $199.00 US list. First - and it's a big one - we will assume they have comparable image quality P2P, etc.. and both Integrators use the same VMS. Assuming that both do a a professional job of designing the project, the 2 designs should look similar. Integrator A will have an easier time with the domes since they are motorized. Integrator B will have more flexibility getting the right coverage with a 2.8-16m dome and might be ableto use less cameras. Pros and cons are debatable - we will assume that Integrator A gets a 35% discount from Disty and Integrator B buys directly from the source and gets 40%. The interesting part is support - Integrator A has a time tested (Wester Mfg) solution and few Security directors will loose their job for going with the norm. Integrator B on the other hand will need to provide support and their solution will stand on their reputation. In my experience - the End User buys from the Integrator based on their reputation. In today's evolving market the SMB & a few F1000 accounts no longer insist on specific cameras. This is a news flash to most Mfg's - the Integrator "owns" most of the cutomer base. Support options for both integrators on a larger project can include advance replacement or onsite spares etc.. Integrator B is very well protected and confident knowing their cost for repolacement can easisly be factored in to a project allowing them to be very creative with their support.  The net of this long winded post is that we have a new breed of Integrator that is willing to be creative and design support that fits the End User's requirements - the cameras becaome a commodity as they should. Integrator B may become the new norm. "Example - Integrator A sells traditional (Western brand) 2mp exterior dome cameras with 3-9mm, IR & varifocal lens (motorized) for approximately $899.00 US-list. They also sell a 2mp - 4m fixed bullet for $399.00 US-list." I don't think that's an accurate comparison in 2015. I agree that a Western brand camera with the specs you list will have that street price range (here are 16 Axis, Avigilon, Sony and Panasonic cameras meeting those specs with an average price ~$1,000). However, a Chinese fixed 2MP bullet, even with IR, is likely to have a much lower street price than you estimate. Here are 11 cameras that match those specs / and are under $200. John do you think the camera market is big enough for the US or Europe to restrict Chinese product? Since Western governments don't serious restrict other types of commercial / consumer electronics, I am not sure why they would do so for surveillance cameras. IP camera is mini computers; product development has tremendous workload on both hardware and software side. I call it high tech labor intensive. We can’t find two thousand engineers to do the work here. But in China, HikVision, Dahua, HiSilicon, and Grain-media, four companies together, has over two thousand engineers, developing IP camera and SOC (CPU), they work day and night. Well, Hikvision alone claims 3,000 engineers in R&D but that seems to be more of a negative than positive. 3,000 engineers and all they can come up with is commodity products? The pricing and scale is impressive but with 3,000 real engineers, I would expect more innovation, no? You're right John! With 3,000 engineers they could be building a 747 jet plane. My experience is that what counts as an "Engineer" in a Chinese company is a much looser term than we would use in the West. 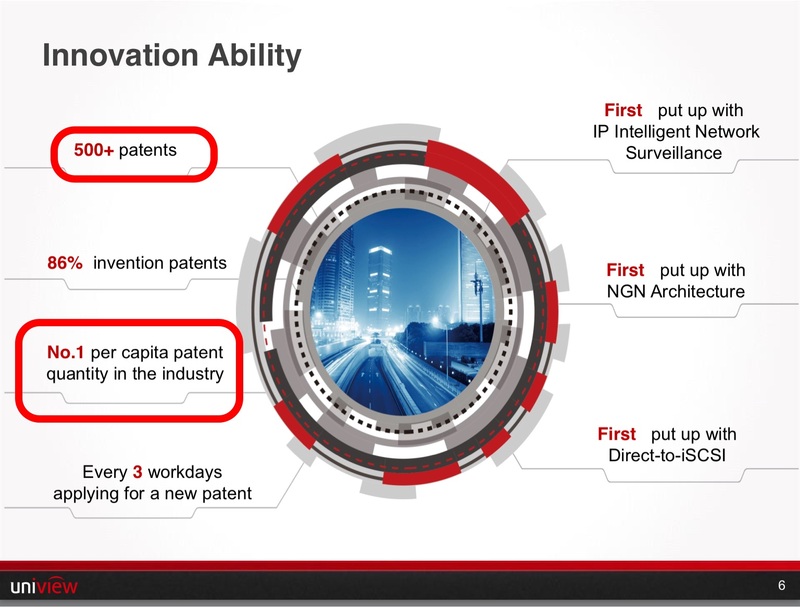 Hikvision does employ 3,000 engineers in "R&D" - a majority of which work on large projects that require custom features, not the core product line. Nearly every project (large or small) in China requires integration to 3rd party systems (GIS, Time & Attendance, Alarm) and custom-developed features. The China market is very different as it is driven by end-users and lacks any semblance of the consultant-influenced specs you see here in North America and North-America-like markets such as the UK or Australia. Instead you get End-Users dictating features - which in turn are placed there by manufacturers to spec-out competitive projects. The caveat being these features are vapor-ware that has been requested by the end-user to try and spec-in a product at the behest of a "friend" (kickbacks are also the norm) and companies that want to compete have to promise to deliver on a feature. Hikvision's original model was to provide open DVR/NVR hardware to the market and let developers get creative on top of pretty solid hardware and very basic recording software. Growth initially took place inside of China through a network of resellers and "soft-OEMs" and then followed suit internationally - however a majority of Hikvision's revenue (as noted on IPVM previously) still comes from the China market. The lack of strong developer culture in China began to hinder Hikvision's ability to win large projects (Honeywell started hammering them on "Safe-City" projects in the latter part of the 2000s) so Hikvision abandoned their entire distribution channel in 2010 or 2011 (don't remember the exact timing) and hired 700 sales guys and those couple thousand engineers and started directly approaching end-users. So those 3000 "R&D" engineers are a combination of sales engineers and on-site software developers that are sent to projects - sometimes for years at a time if the project is large enough - to hack bits together. "Hikvision does employ 3,000 engineers in "R&D" - a majority of which work on large projects that require custom features, not the core product line." Tony, that's interesting feedback and makes sense. Pace Hikvision, I am not so sure though that I would call engineers working on custom, contracted features as R&D though. It's more professional services. It’s not easy, but they are making progress. Their $100 camera has better quality than $300+ camera from others, that’s many years hard work, that’s the progress. Again somewhat amused by the statement that "any camera can be made to display great static pictures". This is the kind of atitude that has gotten more than a munufacturer to the gates of oblivion/bankruptcy. Wake up! Hikvision and Dahua routinely match or surpass celebrated brands PQ (Picture Quality) and at a rok-bottom price and ... what are those features we are talking about? How important are they on the average? I am with the poster on "integrator Bs. Charge for the integration/installation/implementation, not the hardware that has become commodity. John...several comments noted demand will increase due to security concerns, but no one expressed concerns about the security of camera installations. Many people consider Chinese cameras to be at the high end of the risk curve as regards security against hacking, etc. Several traditional manufacturers are looking at documenting the security of their appliances, and this could be a possible counter to the Chinese pricing strtegy, especially if end users start looking at the security riskc cameras might add to their networks. Security within a closed camera network isn't an issue. However I would agree that security on a general network with other computers and the internet could be a cause for concern. I don't believe that western OEMs have made any significant progress in securing their IP camera streams from hacks. Strong passwords are always the biggest defense regardless of the OEM. G, it's certainly a concern. For whatever reason, good or bad, it has not yet become a major buying factor for surveillance cameras / systems. By this I mean that there is a large group of buyers who are heavily motivated by steep price discounts and rather indifferent to information security risks. That might be foolish, but I believe it's an accurate description of the market today. I sigh at the thought that this is somehow news (in 2015) that price pressure from Chinese manufactured products would undermine the traditional manufacturer’s ability to compete—even in the US. As others have said, one could see it coming a mile away. Chinese manufacturing has matured greatly in the past ten years. I find the Chinese products CMs make to be of extremely high quality. The Chinese/Taiwanese CMs are accommodating to requirements, schedule, and cost—even at the relatively low volumes we deal with in the surveillance industry. The manufacturers in China/Taiwan are increasingly competitive with each other in terms of price and capability. So it should be no surprise that Chinese branded products are cheap and effective. In terms of software (speaking of embedded software on cameras) they have build tremendous capability as well—with close ties to the SoC manufactures and plenty of experience and qualified firmware engineers in-country from all over consumer electronics. The capabilities of Chinese manufactures actually presents opportunity to other ‘surveillance’ companies. The CM’s in China are perfectly willing to work with us in building high quality products to our specifications and requirements. There’s no reason (say) US manufactures can’t compete on price—we just need to find margins in places other than the best dealer price on an individual camera box. The addiction to margins has been a needle in the non-Chinese manufacturer’s arm for some time now. What’s missing in the market is no longer a sweet camera at a low price. So business models based on individual camera sales are going to be a bust. Actually, the term “manufacturer” gives away the heart of the issue. As long as we see ourselves as only a manufacturing company, we’re lost. There is still great opportunity for companies built on the principle of being providers of surveillance product and services (compared to companies that want to manufacture boxes). These are companies with strong integrator and channel relationships. They have good branding/marketing, full lines of products across the industry, and best-of-bread systemization of those products. The challenge is to step up a level from margins built on the sale of individual products to the sale of entire systems that provide more value than the sum of their parts. Somebody on this thread mentioned the difference between an iPhone and a gooPhone. The difference isn’t in the phones themselves but in the ecosystem Apple’s created around personal devices, media, and computers. This backed by strong distribution channels, and one of the strongest lifestyle brands in the world. Apple does compete on phones—with good designs and high quality products (made in China). "Positive. Because I work for Avigilon! We will dominate!!!!!!!" The #3 video surveillance manufacturer in China, according to them, is Uniview. Uniview claims $263 million USD revenue for 2013, that would be about 10% of the combined 2013 revenue for Hikvision and Dahua (~$2.5 together). Also, Uniview reports 2000 employees and 29 offices. They shared their company powerpoint deck and their company marketing brochure. We don't really know anything about them, beyond that they had a big booth at ISC West and have marketing material with clear English (above, and not a small feat for a Chinese manufacturer). Finally, they reached out to us about IPVM doing a test. We'll probably do one to get a sense of where they stand. Finally, they reached out to us about IPVM doing a test. We'll probably do one to get a sense of where they stand. Though they are different than Hikua in that they are a U.S. owned company, as reported by IPVM and the N.Y. Times. Has that changed? 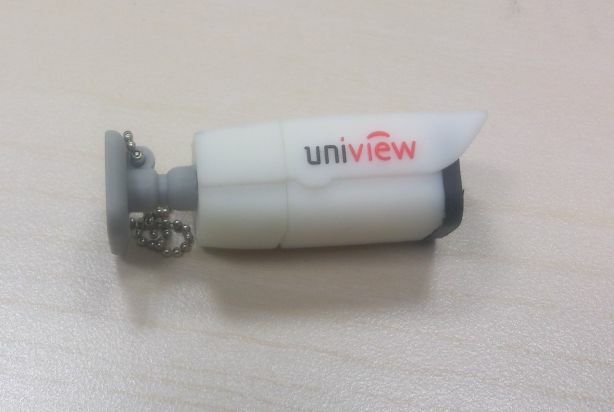 We have samples of uniview here that we already tested. 1. Uniview claim to be in competition with HV and Da but their prices are higher. 2. They clai that most of the bussiness is done via projects and that the camera quality enables them to compeate with Axis and Bosch. 3. From what we tested the cameras were ok at best. I will not go into details. 4. The sales man sold us 2 cameras to test integration with GeoVision and Avigilon after claming that R&D tested and found them working properly. He also supplied a Beta NVR to test. 5. Cameras were found to not integrate at all with both NVR's and the standalone NVR was working so bad I would not call it a BETA. 6. When contacted to return the cameras and NVR the sales guy stopped responding to emails. I'm sorry but they don't sound as they claim to be and I would suggest anyone wanting to deal with them to take into consideration the customer service. "What he said is true, our products are specialized for projects in China, so it is not well prepared for international distributors. Also, Chinese customers and overseas customers have different needs. It will spend some times and pay costs to get to know what they want, find out the problems, and improve products. Moreover, 2014 is our first year in the international market. Hence our NVR indeed faced many problems ago. We have got many feedback and suggestions from our customers. And our NVR has improved a lot now. We will try our best to improve our products as well as customer service in 2015." But I did get one good thing out of it, a USB that looks like a camera.